For eight years, Barry ran the Youth Programme for Triathlon New Zealandbecame a High Performance Triathlon Coach and is currently an Elite Selector for the National Team. He has represented New Zealand at two world triathlon championships as an athlete and was New Zealand Elite Team Manager to the 2005 and 2006 World Triathlon Championships. He has also worked with the International Triathlon Union to assist in delivering coaching programmes internationally. 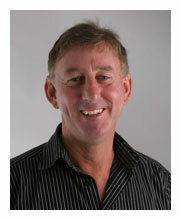 Since 2002, Barry has delivered Corporate Training Programmes in areas of Team Building and Leadership and Sales. He writes and developes his own material, based on proven theory combined with his own experiences and tailored to meet clients needs. His programmes are delivered personally and often in conjunction with colleagues with specialist skills. His programmes are interactive using story telling, case study analysis and a variety of presentation methods. He has a degree in Business Management. In 2008 Barry was appointed Chef de Mission for NZ Youth Olympic & Commonwealth Games teams. He took a team of 75 to Pune, India for the Youth Commonwealth Games and a team of 230 to the Youth Olympic Festival in Sydney. Recently Barry launched a youth programme – Optimize Life – Future Leaders. The programme has been designed for young people (late teens) to create self awareness, instil self belief and encourage personal accountability. Many young people struggle with their direction around the time of leaving school and this programme helps them gain clarity about who they are and what they would like to achieve. It is a fun, interactive programme.